Everyone can spend just two minutes to sign this petition calling on the UN and its offices torecognise the deep connection of the land of Israel to the Jews. Have you go 2 minutes to spare? Join the International Legal Forum (ILF) and StandWithUs in calling upon the United Nations Educational, Social and Cultural Organization (UNESCO) to recognize the deep historic, cultural and religious connection between the Jewish people and holy sites in the land of Israel. The recent UNESCO resolution passed on April 15, 2016, follows a line of insulting resolutions that completely ignore and disregard the Temple Mount as also being an ancestral holy site for the Jewish people/religion for over 3,000 years. UNESCO was created with the clear mandate to build networks among nations and intercultural understanding by protecting heritage and supporting cultural diversity. In accordance with these values, we call upon UNESCO to recognize immediately the deep historic and religious connection between the Temple Mount and Judaism. 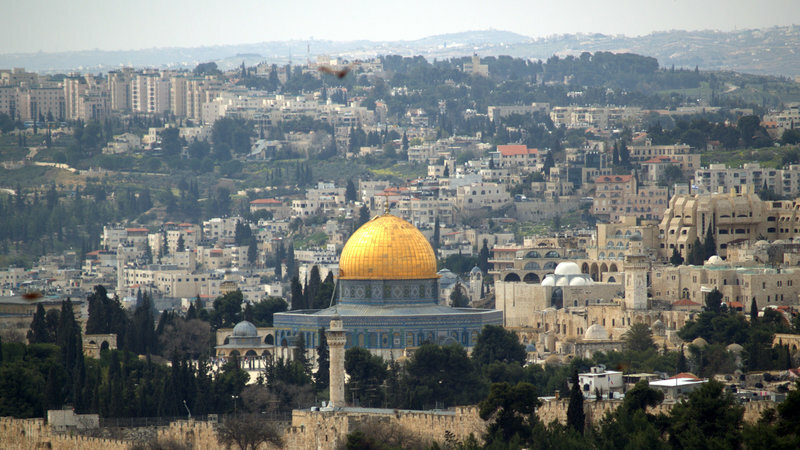 According to the Jewish religion, the Temple Mount is the holiest site in the world to the Jewish people. Throughout history, Jews all over the world have prayed facing the Temple Mount. According to Jewish tradition, the world was created from the Foundation Stone located on the Temple Mount, and the two Jewish Temples stood on the Temple Mount at two different times in history (an internationally and historical known and accepted axiom, backed by numerous archaeological findings). I have a question to ask you, but first I would like to establish my understanding of who you are. You are Jewish, probably young and probably American, but you may be European or even Israeli, and you may not be so young any more. You have embraced the Arab battle against Zionism and you support the BDS movement, which as I demonstrated previously, aims for a single binational state in place of Israel and the Palestinian territories, and aims for the “return” of millions of Palestinian refugees who would make Israel overnight an Arab state. Your position interests me because I am the same as you and yet I am your opposite. I am the same as you in that I am in the countercurrent of my own community, but I am the opposite of you in my ethnicity and in my allegiances in the Israel-Arab conflict. I am an Arab who supports Jewish nationalism. Your position is much less selfish than mine, I must admit. While I support Israel because I see huge benefits for my Arab compatriots in emulating Israel and in adopting its human rights and democratic values and its enterprising spirit, you support Arabs while knowing that you and your community will get less than nothing in return. Since you are educated (I assume that you are educated since you took a bold stand that most people in your faith community disapprove of) then you know that Jews like you were ethnically cleansed from all Arab countries. You also know that when Jews like you faced the Holocaust, no country in the world provided them a safe haven. Despite this knowledge, you selflessly want to give up Jewish sovereignty over the only part of the Middle East where Jews are still allowed to live, and the only safe haven for Jews who face discrimination and violence anywhere in the world. I have to admit that this level of selflessness is well beyond my capabilities. You have assured your friends that your stand is genuine and not meant to appease the anti-Semites. You have insisted that your opposition to Israel is not conformism to the anti-Zionist orthodoxy of the radical left. Yet, I have difficulty rejoicing because while you are willing to sacrifice your own people, I am not willing to sacrifice mine. The demise of Israel as a Jewish state would affect much more than your people. It would also extinguish the only hope remaining for progressive Arabs like me. For us Arabs, whether we are Palestinians, Lebanese, Jordanians, Egyptians, Syrians, Iraqis, or any other variety of Arabs, we know that there is only one place in the Middle East that respects our liberal values, and that is the Jewish state of Israel. We obsessively hold on to that hope. Your stand against Israel, if it is successful, would help some Arabs, I admit. It would help terrorist groups like Hamas and Hezbullah. It would help Arab despots who rely on anti-Zionist rhetoric to remain in power. It would help, and in fact it already helps, the Palestinian leadership avoid making peace with Israel, which keeps the Palestinians stateless and fully dependent on Israel and on Western charity. Your stand undeniably helps ultra-conservative and reactionary Arab forces. You have heard many stories of Israeli abuse of Palestinian human rights, and that is what encouraged you to take the stand that you did. You also believe that Jews are imperialist invaders in the Middle East, and that they re-created the Jewish nation at the expense of the Arab residents. When you learn that the vast majority of the accusations of human rights abuses against Israel consistently turn out to be false, you remain satisfied in the knowledge that some of them turn out to be true. When you are reminded that your own people, the Jews, have lived on the land of Israel for over 3000 years and that they had a long history all over the Middle East (until they were ethnically cleansed), you dismiss it because it contradicts your narrative. When you are asked why you want to penalize the Jews of Israel while not penalizing Arabs for the much worse crimes that they commit against Jews and Arabs, you say that you are only concerned about improving the behavior of your own people and that it is up to Arabs to worry about improving the behavior of Arabs. Your response confirms the importance of my stand, which is to try to improve the behavior of Arabs. Unfortunately, while you seem to complement what I do, by demonizing Israel, the only real hope for the Arab world, you are also making my struggle much more difficult. So here you are. A Jew who insists on an impossibly high moral standard for Israel even if it brings an end to the security or even existence of your own people, and even if it undermines the Arab struggle to achieve modest liberal values that Jews have achieved long ago. You take a left-wing, progressive, activist stand and yet your stand aids the anti-Semites and the most right-wing reactionary Arabs. Which brings me to my question. Is there perhaps some other cause that you can support instead of the Arab/Palestinian cause? Preferably a cause that does not involve Arabs? Daniel Greenfield - Frontpagemag.com..14 April '16. A Palestinian state has never existed during any period in human history. Let’s change that. The United States has spent billions of dollars trying to create a Palestinian state. It’s time that we finally got our money’s worth. We’ve been putting money in the broken Palestinian slot machine in the metaphorical Palestinian casino for decades. It’s time to finally get our Palestinian jackpot. But to make it happen, we need to be realistic. Forget the peace process. Forget negotiations. They’ve never worked before. They’re not going to now. And there’s nothing to negotiate anyway. There are almost a million Jews living on territory claimed by the PLO. Removing them would be the single greatest act of ethnic cleansing. It would also be impossible. But the same people who insist that the United States, a country of 318 million, can’t deport 11 million illegal aliens, think that Israel will somehow deport 1/8th of its own population if they just chant loudly enough about “occupation” outside Jewish businesses in London or San Francisco. And it wouldn’t just be the Jews alone being rounded up into trucks and buses. 52 percent of Arabs in East Jerusalem would rather be Israeli citizens than live under the PLO. Are we supposed to deport 100,000 Arabs from Jerusalem to make way for this imaginary “Palestinian” state? How much ethnic cleansing do we have to do to make the Islamic colonial fantasy of Palestine real? It’s not going to happen. Let’s create a real Palestinian state instead. And I don’t mean the PLO’s President for Life Mahmoud Abbas going down to the UN to give another speech. Abbas is on his 11th year of a 4-year term. The US spent $4.5 billion promoting “Palestinian democracy” and the last PLO election was ten years ago. Hamas won. It would win today all over again. Current polling shows that 2/3 of “Palestinians” want Abbas to resign. Abbas has no political authority to form a Palestinian state. If there’s going to be a Palestinian state, it has to be based on the will of the people. That means it will be a Hamas state. A Palestinian state that is not based on the will of its people has no legitimacy. The only legitimate Palestinian state is therefore a Hamas terror state. And that’s the only kind of state you can have when 2/3 of “Palestinians” support stabbing Israeli civilians, 89% want to live under an Islamic State run by Sharia law, 84% want to stone adulterers to death and 66% support killing any Muslim who leaves Islam. Only an Islamic terror state can truly represent the homicidal aspirations of the Palestinian people. Is this some sort of sick joke? Yes it is. It’s the sick joke that is Palestine. Now let’s begin the process of turning this sick twisted joke into its own state. The first thing to do is dismantle the UNRWA, a UN agency specifically dedicated to catering to “Palestinians”. The UNRWA is one of the key elements of the Palestinian welfare state. And the US kicks in around $300 million to the organization which fulfills many of the functions of a state. But a state doesn’t need its own refugee agency. And a Hamas terror state doesn’t need a further $350 million dollars in US foreign aid to promote “democracy” and improve its infrastructure and institutions. This is going to be a problem because the imaginary Palestinian state also has a fantasy economy. The largest employer in the Palestinian Authority is the Palestinian Authority. Most of its money comes from America, Europe, Israel and, for some inconceivable reason, Japan. The terror state gets its electricity from Israel. It gets its water and internet through Israel. So let’s get a clear look at what a real Palestinian state would look like. It would be Gaza but larger. But without the UNRWA and the rest of the NGOs lining up to provide jobs and social services. It would be an “open air prison”, as anti-Israel activists screech of Gaza, but a prison created and maintained by the inmates. It would be constantly at war with Israel and the rest of the world. The way it is now. The economy will be a thinly disguised feudal system of Islamists with engineering degrees in mansions paying starvation wages to laborers to harvest olives to be shipped to China. There will be shopping malls for some and little shacks on the edges full of smugglers, drug labs and brothels for everyone else. Imagine the last few decades of terror, bombings, missile strikes, firefights, corruption, thievery and utter dysfunction made into a permanent state of affairs. That’s Palestine. That’s the two-state solution. Just don’t ask what it solves except the Middle East’s severe shortage of terrorist states and terrorists. If you will it, it is no dream. This nightmare already exists and it can be a real country. It already has an anthem, a flag, no elections and no reason to exist except killing everyone else. It’s a foreign aid funded ISIS with more olive harvests and a more robust campus presence. Let’s stop fantasizing about peace. Peace and Palestine go together like oil and water. This is what a real Palestinian state would look like. And the moment it comes into being, any possibility of peace dies. For Israel ‪#‎WorldHealthDay‬ is every day. Health coordination is a daily activity within ‪#‎COGAT‬, (Coordinator of government activities in the territories) whether it be across Judea & Samaria or the ‪#‎Gaza‬ Strip. Last year, 120,000 Palestinians received medical treatment in Israeli hospitals for both acute and chronic health conditions. This is another example of the efforts of our health coordinators to assist in the development of the ‪#‎Palestinian‬ public health system. Over 350 leading Israeli and British medical researchers are meeting at the University of Oxford this week, in the largest such bilateral gathering of recent years. 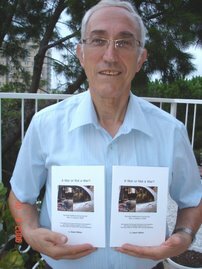 Despite recent calls to boycott academic cooperation with Israel, the 3rd BIRAX Conference was attended by more than 250 British researchers from 33 institutions across England, Wales, Scotland and Northern Ireland, as well as nearly 100 researchers from Israel’s research universities. 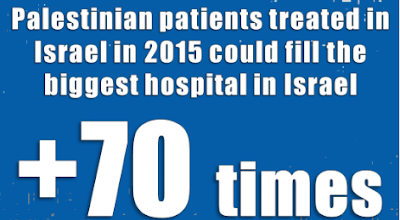 BIRAX <https://www.britishcouncil.org.il/en/birax2015> , a joint UK-Israel research initiative tackling some of the world’s most debilitating diseases, has invested over £7 million in bilateral research since it was founded in 2011. The 15 joint research projects funded by BIRAX so far include the use of heart cells to restore damaged heart muscle; and the use of breath tests for the diagnosis of Parkinson’s Disease. The 3rd BIRAX Conference will showcase the latest developments in regenerative medicine, including joint research by UK and Israeli researchers to fight diabetes, Alzheimer’s disease, heart conditions, and other global health challenges. The conference is also aimed at creating more opportunities for scientists from both countries to collaborate. Simultaneously, the UK Israel Science Council will meet at the conference to agree new bilateral scientific priorities for focus until 2020. The Council will also review a year of unprecedented successes that include the launch of a suite of bilateral research programmes; as well as over 20 scientific visits with hundreds of scientists going back and forth. Is the “knife intifada” beginning to run out of steam? Some observers say so. Yet last Friday, April 1, marked an impressive half-year since the launch of the current wave of Palestinian violence. Characterized largely by stabbings carried out by youngsters, generally acting alone or in pairs, this round of attacks has already claimed the lives of 30 Israelis, two Americans, an Eritrean asylum seeker, and a Palestinian bystander, and caused more than 400 injuries. During this time, according to official Israeli sources, there have been over 200 stabbings or attempted stabbings at an average pace greater than one per day, as well as 40 car-ramming assaults and 80 shootings. Though perpetrated almost exclusively by Palestinians living in Jerusalem and the West Bank, and focused largely on these areas, the attacks have also reached Israel’s coastal cities, most notably Tel Aviv. And though not yet nearly so long-running as the first (1987-1991) or second (2000-2004) intifadas, the current wave, given that it appears to be driven by individual initiative rather than by organized militant groups like Hamas or Fatah, has shown remarkable staying power. What explains its endurance? One reason may be that the perpetrators both reflect and are largely motivated by Palestinian public opinion. Here it is necessary to explore what has changed over the last six months in how Palestinians see their conflict with Israel, and especially the desirability and efficacy of resorting to violence. In doing so, this analysis relies principally on polls conducted during this period by three of the leading Palestinian polling institutes whose published results reliably indicate what Arabs in the West Bank and Gaza think. Most Palestinians, despite the fact that their countrymen are the ones initiating attacks on Israelis, see themselves as being under attack by Israel—on both the national and the individual level. 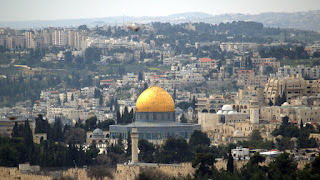 In a December 2015 poll by the Palestinian Center for Policy and Survey Research (PSR), 51 percent of respondents were convinced that Israel’s long-term goal with respect to the Temple Mount area in the Old City of Jerusalem is to “destroy [the] al-Aqsa and Dome of the Rock mosques and build a synagogue in their place.” Among Palestinians in the West Bank and Jerusalem, that figure rose to 66 percent—a significant datum given that residents of these two areas are almost exclusively responsible for the current uprising and that their views exert a corresponding influence on its course. Far from being a one-time fluke, this finding extended a pattern observed in surveys during the previous year, and was replicated in PSR’s most recent poll in March 2016. What makes this Palestinian fear particularly remarkable is that the Israeli government has repeatedly gone on record opposing any change in the core element of the status quo put in place on the Mount in 1967, which is that Muslims worship there en masse in a number of structures dedicated to that purpose, but no place exists for Jewish communal prayer and Jewish visitors are forbidden from praying there even as individuals. Not a single party or leading figure in Israel’s current government or any of its predecessors has proposed the building of a synagogue on the Mount, or suggested harming the Muslim holy sites that have stood on it for the past thirteen centuries. Similarly, no Israeli government has taken any steps that could plausibly be interpreted as indicating an interest in such actions. Yet none of this seems to have the slightest effect on the sense among most Palestinians not only that Israel aims to destroy the Muslim holy sites in the future but that an attack against them is already under way.